Whether it be mindful meditation, healthy eating, or hiking – self-care is no longer the stuff of new age folklore. 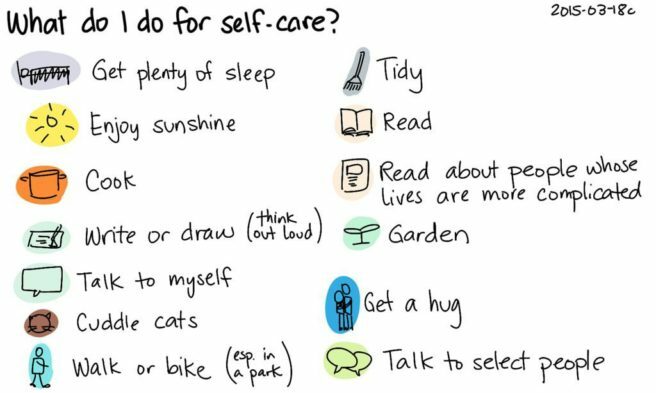 Inherently, the definition of self-care is fluid, what works for one might not work for another. My father, bless his soul, picked up marathon running at 54. Clearly, we all find different fulfillment. Frances Willard dedicated her life to the Women’s Christian Temperance Union and moreso, to her own “Do Everything” motto. How did she avoid the burnout the plagues other activists? Was self-care something Willard practiced? She may not have been calling her actions “self-care” but she was actively striving to better herself and maintain her health throughout her life. And, if you’re reading this – go out and get some fresh air and sunshine! Guest blog by Amy Hildebrand, a third year student at DePaul University pursuing an American Studies major and History minor. Aisha Harris. “A History of Self Care” Slate.com Accessed March-June 2017.